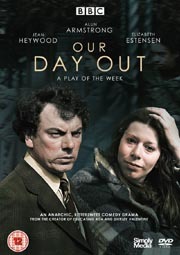 OUR DAY OUT - now on DVD! Welcome to the Official-Unofficial website about Willy Russell. Willy Russell’s career spans more than four decades; born in Liverpool in 1947, he left school at 15, became a women’s hairdresser, part-time singer/songwriter before returning to education and becoming a teacher. Russell’s breakthrough work, commissioned by Liverpool Everyman, “John Paul George Ringo…and Bert” transferred to the West End winning Best Musical - Evening Standard and London Theatre Critics Awards. 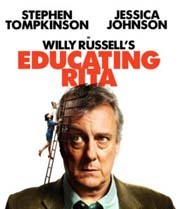 Two of Willy’s best-known plays have female protagonists, “Educating Rita” (Olivier Award for Best Comedy and “Shirley Valentine “ (Olivier Award - Best New Comedy & Best New Actress, Tony Awards, Broadway – Best Actress). Both became successful films - Julie Walters and Pauline Collins who played the roles on stage received Oscar nominations as did Willy Russell for the screenplay of Educating Rita. “Blood Brothers,” (Laurence Olivier Award, Best New Musical, 1983), played for 24 years becoming the 3rd longest running West End musical. Major foreign productions include a 2 year run on Broadway, with recent productions in South Africa and Korea and current productions in Australia and Japan. The UK tour is still playing to packed houses. “Our Day Out,” originally written for TV, about a school outing, has been adapted for the stage as “Our Day Out - The Musical”. Premiered at Liverpool's Royal Court in 2010 to rave reviews it was revived a year later for another sell out season. The critically acclaimed novel, “The Wrong Boy” was published in 2000 and translated worldwide.